Monday, July 5 – Walked from Urt to La Bastide Clarence to Hasparren – 16 kms. | Say Mar Say! - C'est Marseille! « Tuesday, July 6 – Walked from Hasparren to Cambo les Bains – 9 kms. Monday, July 5 – Walked from Urt to La Bastide Clarence to Hasparren – 16 kms. Peggy made a last minute change of itinerary as the telephone of the only hotel that is one day’s walk on the path from Urt was disconnected. We consulted with the patrone (female boss) of the hotel in Urt and came up with a back up plan: walk on the roads to Hasparren. Off we went after picking up picnic items at Carrefour (it’s a chain of large grocery stores). 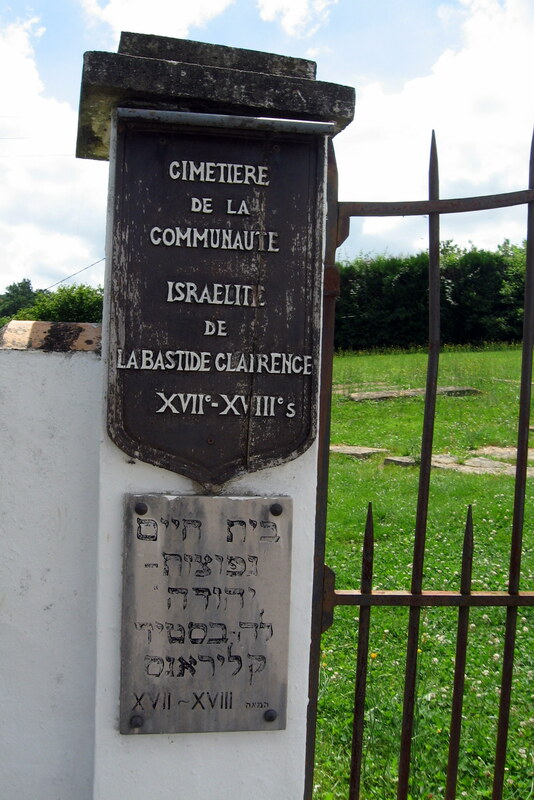 Walked to La Bastide Clarence where we had lunch and visited a Jewish cemetery with graves from 1620 to 1785. Very interesting spot. Then continued walking to Hasparren, where a nasty Office of Tourism lady warned us to stay off private property and offered no help to get us to Cambo les Bains on smaller roads (we should buy a road map, she said). Found a welcoming Hotel Les Tilleuls in the middle of town. Walked around town then outside our hotel for boissons (drinks) then a very good dinner with more interesting local fare. They played American singer/songwriter music including Richard Shindell. Very friendly staff. 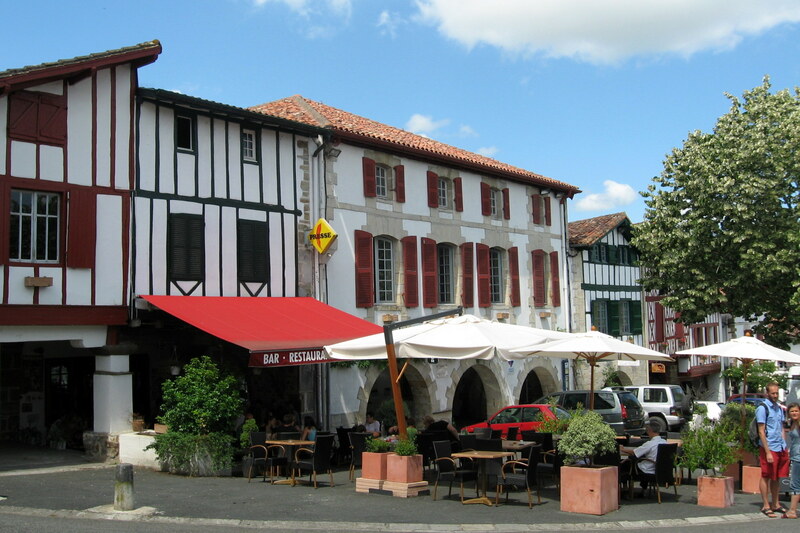 This entry was posted on February 7, 2013 at 9:58 am and is filed under Hiking In France. You can follow any responses to this entry through the RSS 2.0 feed. You can leave a response, or trackback from your own site.